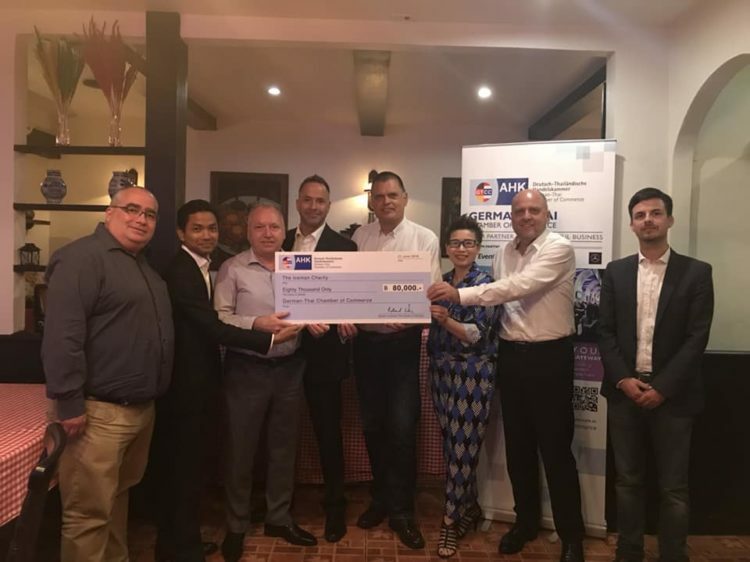 The German Thai Chamber of Commerce is new partner of the Iceman Charity. On their annual Gala party, the organization raised donations for our orphans. There members – German and Thai companies donated 80.000 THB, which will be used to buy 2.500 new toothbrushes and toothpastes. In cooperation with Dr. Sunil in Bangkok (better known as Superdoc) we will get a high quality of toothpastes which help us to avoid tooth decay. To fulfill our Health & Cleanness concept we need to support all kids 3 times per year with the right brushes and pastes. But not 1-time donation has a great value, also the new network with the German companies based in Thailand. Some of them committed already to help us in renovations and cleaning. Within a long-term relationship we can create a difference for the kids.